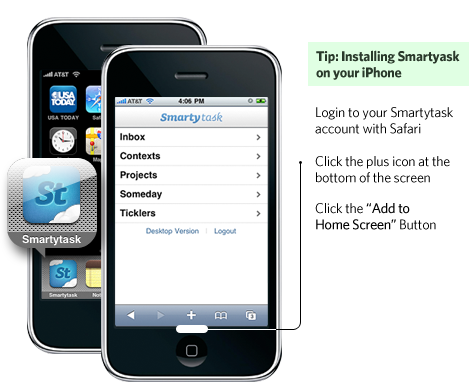 Add an item directly to your Smartytask inbox by emailing it to your username@inbx.it — you can customize your inbox email address in settings. 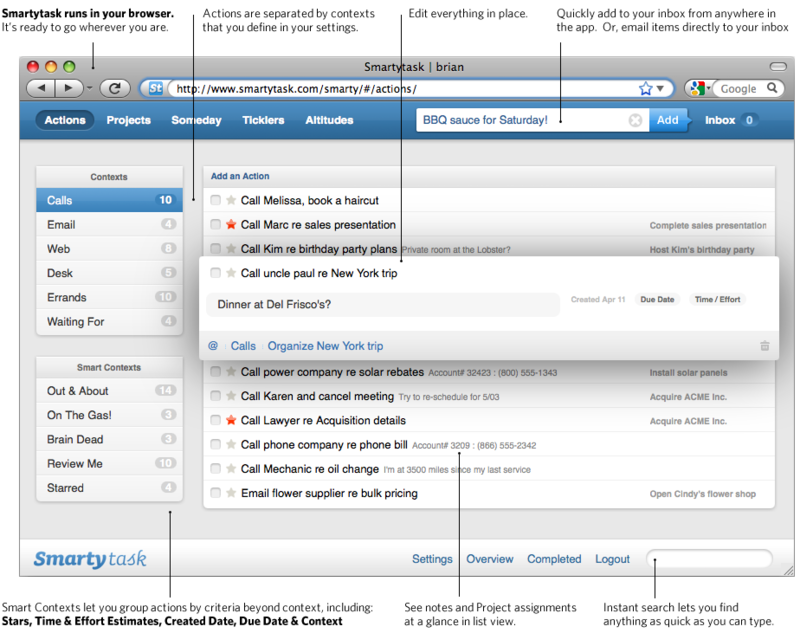 Smartytask runs on your iPhone as a web app. It also works great on your iPad. 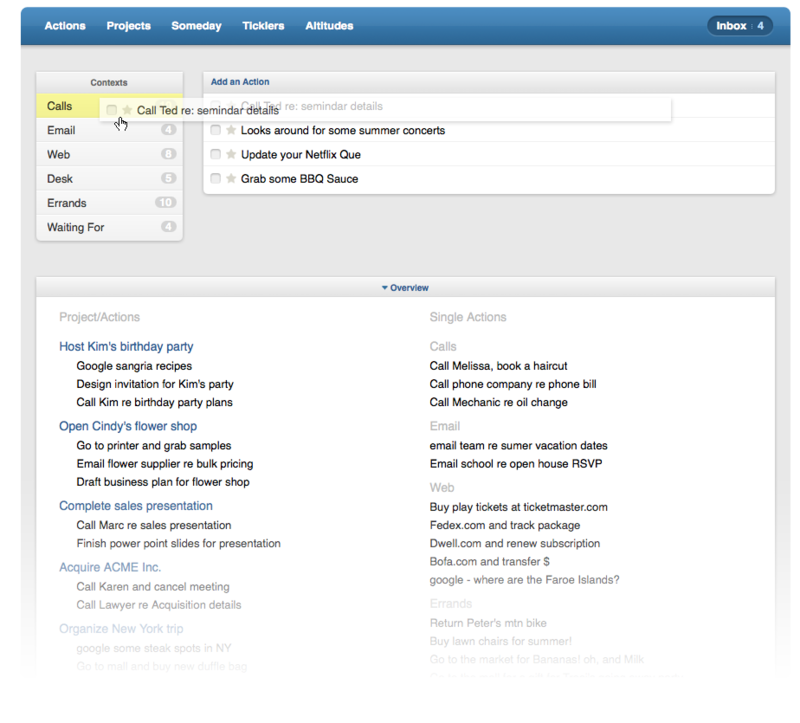 Keep your Somedays in a single list, or in custom groups. 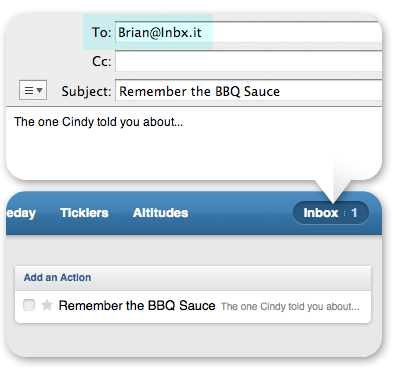 Ticklers are emailed to you when they are due, and are also moved to your inbox. You can change this in your settings. Unlike other lists, Altitudes live a bulleted style nested list, more similar to editing a document. 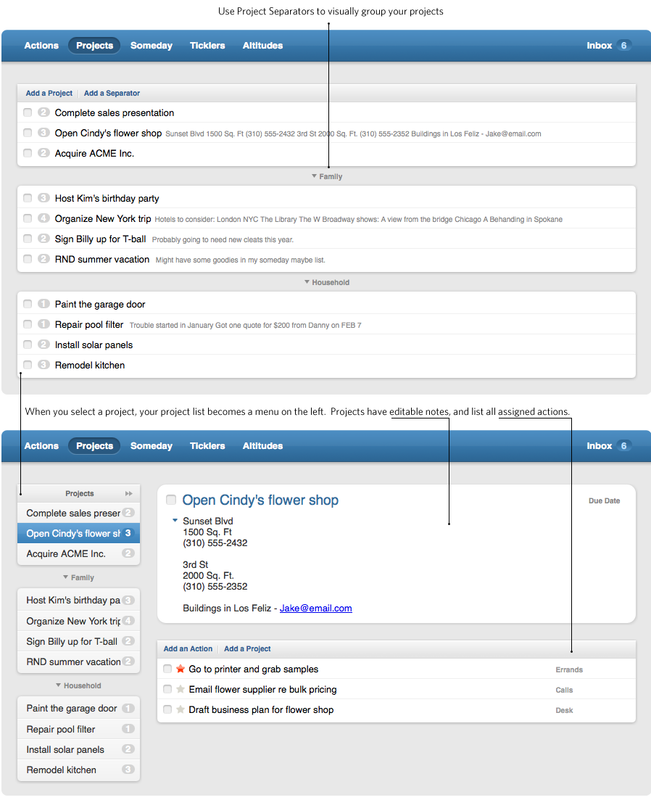 Organize everything from your inbox. Below, you have a collapsible overview snapshot of your entire system.